The Secret to Building Bigger, Stronger Arms - Tricep Exercises | Valet. Nathan McCallum, is our tricep inspiration. Before we officially get into short sleeve and sleeveless season, let's talk about arms. After all, in a recent survey they were voted one of the most attractive parts of a man's body. And why not, they are a signal of strength and they're an easy way to check out muscle definition. That is, if you have the definition. If you're looking to tone and define your arms, you've got to think beyond the standard bicep curl. The bicep is important, sure, but it's just one muscle. Your tricep, on the other hand, takes up two-thirds of your arm and is actually composed of three different muscles. That's why well-defined triceps give your arms a fuller, more muscular look. 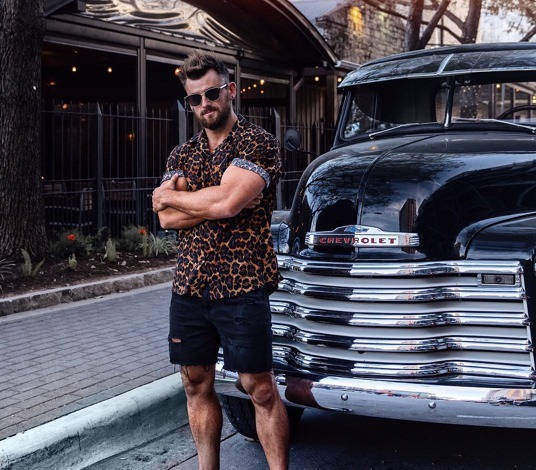 Fitness blogger and Ninja Warrior, Nathan McCallum, is our tricep inspiration. But it's not just aesthetics. 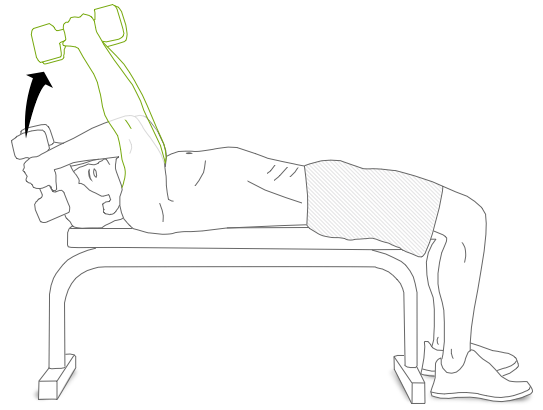 Your triceps also play a big role in some of the most effective and popular exercises, from pushups to the bench press. FYIYou use your tricep muscle whenever you straighten your arm.So targeting this often-overlooked muscle group won't just boost your definition, but will also bolster your overall strength. 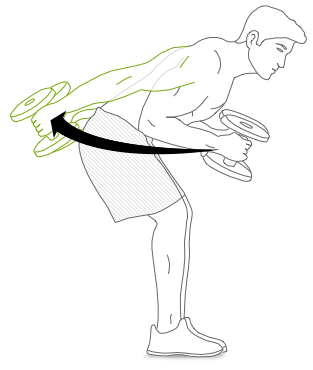 These three exercises nail your triceps. Doing high reps of them results in a serious rush of blood to the muscle and gives you a great "pump." And it should be noted that a review in the Strength and Conditioning Journal found that the pump does more than make you look ready for the beach. The cellular swelling that occurs from blood pooling to the muscle can actually speed muscle repair and growth after your workout. So focus on your triceps and see noticeable improvements in your arms in as little as three to four weeks. 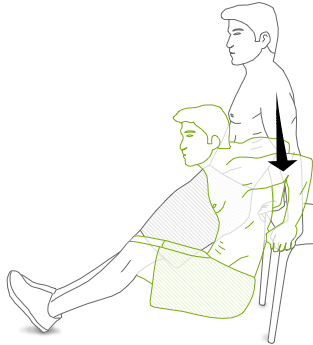 Lie flat on your back on a bench and position your feet flat on the floor on either side of the bench. With a dumbbell in each hand, extend your arms over your head until fully extended. Your palms should face one another and your hands should be close together. Bend the elbows and lower the weights to either side of your head. Stand holding a dumbbell in each hand and drop your hips back, lowering your torso until it's almost parallel to the floor. Turn your palms to face in front of you, and, keeping your upper arms against your sides, extend your elbows until your arms are parallel to your torso. Slowly bring back to the starting position and repeat. Find a stable surface like a chair or the weight bench in your gym, and sit in front of it with your palms down on the bench and your knuckles facing forward. Extend your legs (or keep them slightly bent for an easier move), keeping your elbows tucked in. Push yourself up, straightening out your arms without locking your elbows. Then lower your self down (creating a 90-degree angle with your elbows), making sure to avoid rounding your shoulders or hunching forward as you move. Push yourself back up to the starting position. You use your tricep muscle whenever you straighten your arm. The free and easy way to get in shape like one of Team USA's top athletes.